Limited Run Games • View topic - anyone who can make forums? Re: anyone who can make forums? That's what they tried to do for these fourms... but it was very overwhelming. because the only people doing it dont like being on the forums or at the verry least dont want to do it. I think most of us want a community for us and not being part of another one. I have an account there even though I dont use the forums there. that community is totaly different from this one there is nothing wrong with that but many of us would be considered misfits there. and even if not the atmoshere there is different we should try to preserve that. I don't think Hellblazer was around anymore when the bots started becoming a problem. That leaves with Douglas and Gizmo, and with them in the same time zone a lot of bots crept in during the night. Also since they don't look at the forums like normal users - their activity is most in AMA and LRG sections (for obvious reasons) - they're 100% reliant on people reporting the bots in other parts of the forums. But to get a bit back to the topic, if we start a new forum, I could definitely take on some mod responsibilities. Just as long as the forums wouldn't be too convoluted. In one way, I agree what's being said about the "officiality" of these boards, but considering the amount of companies we talk about here, it's only -one- of them that's official, so in general it wouldn't be that much of a big loss. Heck, in a forum like that we could even split it up so each of the bigger publishers get their own subforum. I think that'd work better than the PS4/VITA/Switch sections on here since most publishers release for more than one console. Also, it's a bit interesting but I just realized something and I don't know why. In a context of blogs I really don't like the ones that just relay Tweets with announcements and such, especially the lot of Nintendo blogs that's popped up to do it now, but when it comes to forum users who do the same thing I instead appreciate it. I wonder why? Maybe it's that the forum thing feels more person-to-person while the blog thing is more egocentrical without actually adding a personal touch to it? I dunno. I think i'm going with videogames-talk.com then, sadly allot of the url names are already taken but the name says it's all it's essentially what i hope we will do. We can Always change the url later, I've got the day off tommorow so shoulden't take me all too long to have one up and running. The only thing i don't have yet is a decent logo, banner but i'll make work off that asap. I'll probably use the same style as this one for now, maybe add a few extra themes in once everithing is set up, so people can choose their style that they like best. I'm also not one to make rules and also hate censership so i will leave it at that as Some people act more emotional then others it's common nature. What i'm hoping myself is that we can get more retro talk in, will add a section for that too, this board was severely lacking that,shame really. How do you want to see the sections? Do i need to do it simulair to this board or what do you want to see ? kazumn wrote: I think i'm going with videogames-talk.com then, sadly allot of the url names are already taken but the name says it's all it's essentially what i hope we will do. We can Always change the url later, I've got the day off tommorow so shoulden't take me all too long to have one up and running. The only thing i don't have yet is a decent logo, banner but i'll make work off that asap. simmulair to this board is fine but maybe a big biger like a sub forum with low printrun game companies and all companies their own topic etc. if we have a basic starting point we can always discus how etc. I would be willing to help set it up as well if you could give me the powers after everything is set up you cna take those powers away I dont mind at all. maybe its due to the navigation twitter is a concolutes mess on forums its easier to find and you cna find stuff back easy which is almost impossible on twitter unless you have a lot of free time. Yeah i know that but you will Always have limits to what you can do and have to deal with adds all the time anyway. kazumn wrote: What i'm hoping myself is that we can get more retro talk in, will add a section for that too, this board was severely lacking that,shame really. As I was onto in my other post, I think that each of these "bigger" limited print publisher should have their own subforum then create topics when new games are revealed (or other things related to that specific publisher comes up); I think it might get too convoluted to do each publisher as just one topic each. Then again, you don't want to spread stuff too thin either, but if there's an LRG subforum and we keep on the activity from now we'd have about a topic per week just for releases. For other segments, I'm not really sure. A buy/trade/sell subforum would possibly be a good idea? No ideas on how to categorize the retro gaming. Considering we're getting this old the retro stuff ranges from early consoles to the PS2 (or possibly even PS3) so it might be a good idea to divide stuff somehow, though I'm not really sure on how. It'd probably become a matter of activity too; it's not good to spread too thin if activity is low, but if it's high it's better to have it sorted so people can choose to not look at things they're not interested in. kazumn wrote: No ideas on how to categorize the retro gaming. Considering we're getting this old the retro stuff ranges from early consoles to the PS2 (or possibly even PS3) so it might be a good idea to divide stuff somehow, though I'm not really sure on how. It'd probably become a matter of activity too; it's not good to spread too thin if activity is low, but if it's high it's better to have it sorted so people can choose to not look at things they're not interested in. 80s, 90s, 00s. Or specific console families. There are too many "generations" and too much overlap between them for most people to remember which is which. There are also too many individual consoles in each family to bother having a subforum for each one. Bit-counts are also a bit too messy and irrelevant, plus with so many modern games having "8-bit no wait 16-bit no wait 32-bit" styles it just confuses most people. fgsfds100 wrote: 80s, 90s, 00s. Or specific console families. Yeah, I was ruling out most of your suggestions in the same manner. Not sure if decade is good either, since so many consoles overlap into different ones; both the NES and the N64 comes to me as examples of that. So console families are probably the best ones. Nintendo retro, SEGA retro, Sony retro... Yeah I think that'd work well. I know finding a URL can be tricky, but what about something like "VG Hunters" or "Forever Physical". If we chose the latter, it could easily apply to other physical media preservation such as movies and music. Tekkaman wrote: I know finding a URL can be tricky, but what about something like "VG Hunters" or "Forever Physical". If we chose the latter, it could easily apply to other physical media preservation such as movies and music. I suppose. I still like it though. If it's specifically for collectors, you'll want that in the name. You'll want video games/VG in there only if it's strictly for video games. Also rare/limited/precious/etc if it's strictly for that kind of stuff. And if it's specifically going to be a forum and not anything else, you might want forum/talk/board/etc. Or you could just have any kind of place-type name to keep it flexible for feature expansion. Limited Edition Loot & Kewl Expensive Kollectables. Maybe do like fop mentions about having a different sub forum for each limited publisher if possible. I still think having video game in the sites name would work better for people just searching video games. shinoff2183 wrote: Maybe do like fop mentions about having a different sub forum for each limited publisher if possible. I still think having video game in the sites name would work better for people just searching video games. how about rare videogame collectors? fgsfds100 wrote: If it's specifically for collectors, you'll want that in the name. Last edited by budgie on Wed Apr 17, 2019 11:08 am, edited 1 time in total. maybe I should try to collect some mentioned names and make a poll? Personally, I like "Physical Forever," but yeah, maybe since it would primarily be a videogame forum we should have game in the title, too. A poll is a good idea, Hyde. Last edited by BuraddoRun on Mon Apr 15, 2019 6:26 pm, edited 1 time in total. alright I wil try to make it tomorrow when i have a bit more time to concentrate on it. "Unofficial Limited Run Games forum memorial forum". 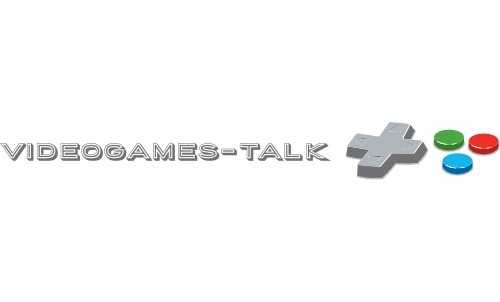 Since their is not much time left i bought the domain videogames-talk.com so that's where the new board will be, i also got a second domain vg-talk.com that i may use a direct link aswell. Since we're busy i'm going to ask help of an old aquintance to built a website. With the LRG forum closure being moved up a month, we didn't have a lot of time to organize. But we'll make the best of it! Thanks for purchasing a domain, kazumn! So who here is willing to help with the site? We'll need mods, maybe some graphical design help, ideas for formatting. And I'm sure kazumn would appreciate any donations for server costs. We also need people to spread the word and advertise once we get things up. And finally, we need subforum ideas!